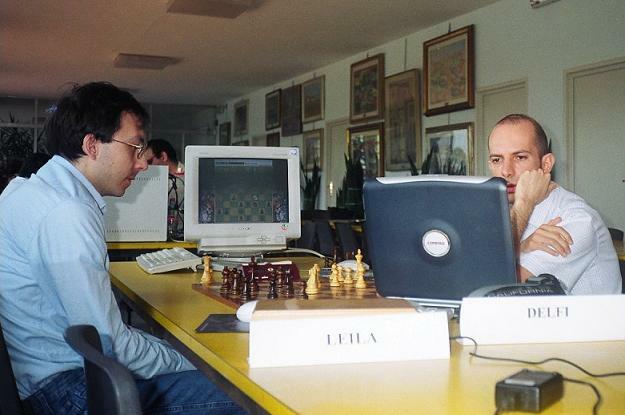 a WinBoard compliant chess engine written by Carmelo Calzerano in C++, first released in December 2001 when Leila already won the 1st FSI Italian Engine Contest , and the 1st Campionato Italiano per Programmi Scacchistici (CIPS). The 0.42 version also supports UCI. Leila is Windows successor of a DOS program PC-Chess, which already participated in the "Historic" First Italian Computer Chess Tournamenst held privately in 1999 by Gianluigi Masciulli . 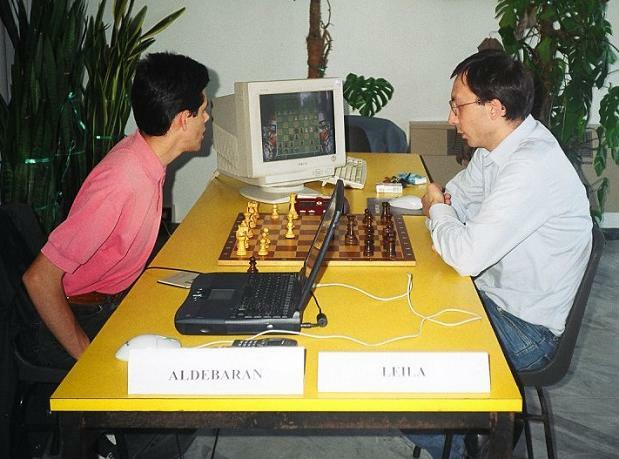 As mentioned, Leila won the CIPS 2001, was runner-up behind Delfi at CIPS 2002 and CIPS 2003 and played in total five CIPS and three Chess Computer Cups. She further participated at the CCT4 with a 50% score. 32.Ba5 h6 33.h4 Bd5 34.a3 g5 35.fxg5 hxg5 36.hxg5 Rh8 37.Bc7 Rh4 38. 51.Kg3 Kg6 52.Bf4 Rd3 53.a5 Bd5 54.Be5 Ra3 55.Bc7 Rc3 56.Bd6 Rc2 57. This page was last edited on 26 August 2018, at 20:01.